I received this recipe from a Facebook group my friend and I started called The Great Recipe Exchange Between Friends. Jennifer thank you for the recipe! Calories: 203.7 • Fat: 1.4 g • Carb: 33.3 g • Fiber: 10.0 g • Protein:16.9 g Serving size is 1 1/4 cup. My family loves this soup. We haven’t had it in a while, but typically we have it almost weekly during the cooler months, but it is enjoyable in the warmer months too. Add water, potatoes, carrots, celery, onion, salt and pepper in a medium to large pot. Cook until soft, about 10 minutes. This part is very important. Add mixture to the vegetables, cook until heated through out. I am well aware today is Tuesday. Monday was a bit crazy with accomplishing my housework and I honestly did not have a clue what to make, but late last night I realized i had a nice amount on the menu from last week we did not eat. My job has been made easy then. I just need to pick up a few groceries. I have no special order to when we are having the meals, but these are the meals I plan on making this week. Any of the below that are not made this week will be added to next weeks menu. If you want any of the recipes for above please, let me know and I will be more than glad to share. 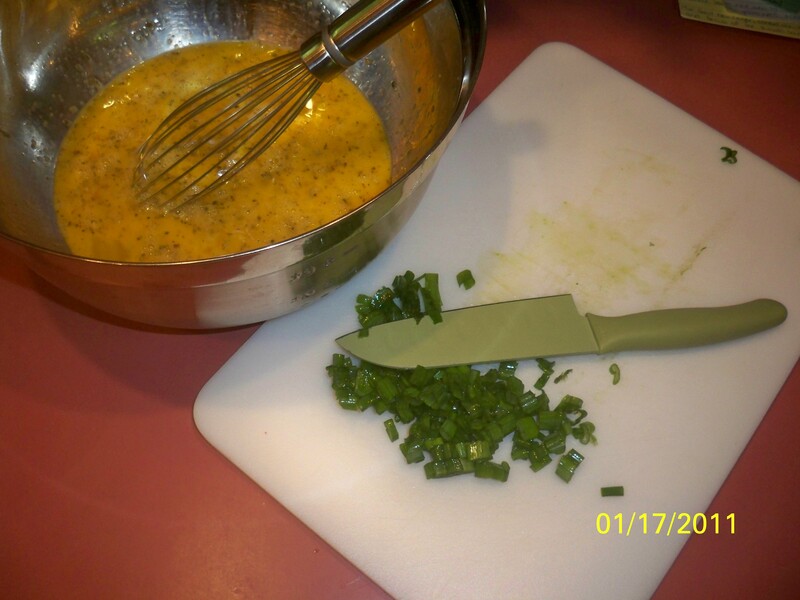 In medium bowl, mix egg product, garlic & herb seasoning and salts, set aside. 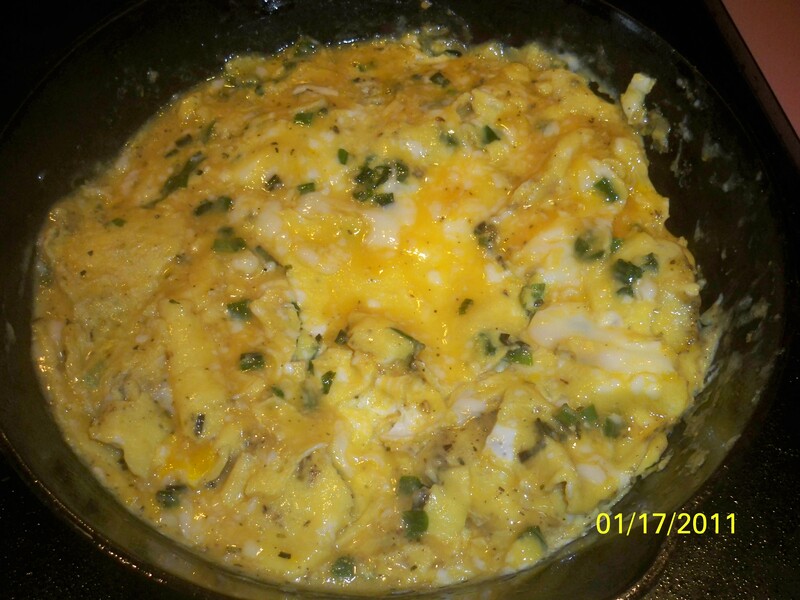 In 10″ non stick oven proof skillet, heat oil over medium heat. Add onions, cook and stir for 1 minute. Reduce heat to medium low. Pour in egg mixture. Cook 6-9 minutes, gently lifting edges of cooked portions with spatula so that uncooked egg mixture can flow to bottom of skillet until set. Set oven control to broil (hi). 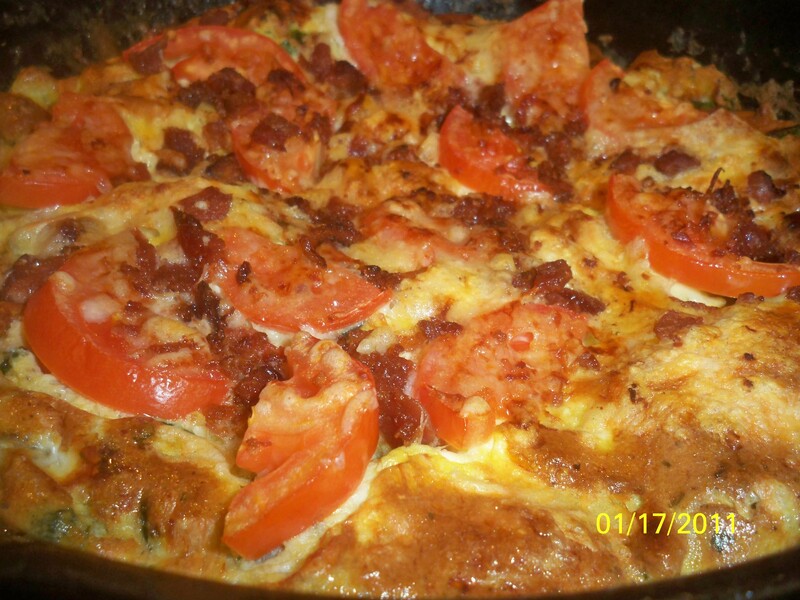 Top frittata with tomatoes, cheese and bacon. Broil with top 4″ from heat 1 to 2 minutes or until cheese is melted. Top each serving with sour cream. Layer half of the macaroni, butter and half the cheese in a casserole. dish. A cup or pot of coffee/caffeine and a dose of God daily! As of 1/11: 15.5 of 66 books Read! Ways to Earn Gift Cards - Seriously!